A registered “sexual predator” broke into a Lakeview home Saturday morning and sexually assaulted a man who lives inside, prosecutors said Sunday. 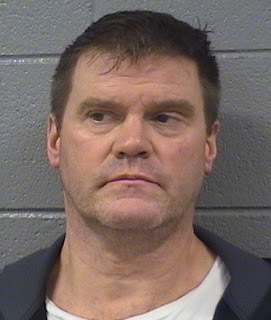 52-year-old Joseph Kopacz of Uptown broke into a first-floor apartment in the 3800 block of North Kenmore around 8:30 a.m, crawled into a 23-year-old man’s bed, put his face on the victim’s crotch, and tried to remove the man’s underwear, according to court records. Kopacz fled when the victim woke up, but he didn’t get very far. The victim and his roommates tackled Kopacz in their back yard and summoned police. The roommate’s neighbor said that Kopacz bit the 23-year-old victim during the struggle and added that Kopacz had been seen in the area recently. Prosecutors charged Kopacz with aggravated criminal sexual assault, home invasion, and burglary. A judge set his bail at $500,000. State records show that Kopacz was convicted of aggravated criminal sexual abuse in 2003 when he was 39-years-old. His victim in the case was 24.